Gumtree is one of the best websites for free classifieds ads in the UK, Australia, South Africa and Singapore. They offer a large category of advertisements including goods for sale and hiring services. On Gumtree, one can easily find or offer jobs locally. It is a great service to utilize if you’re looking to buy or sell used items which mainly involves physical meetings. While Gumtree seems quite prominent enough, it still hasn’t got everything you need. 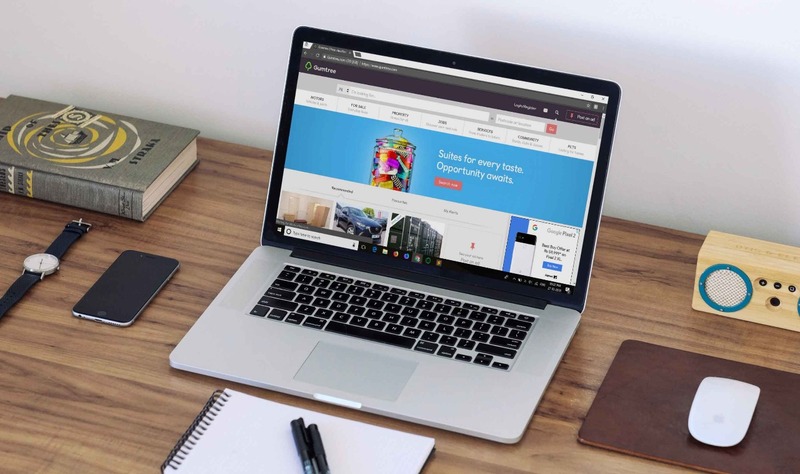 So if you’re looking for the best websites where you can buy or sell second hand items, then here are the 5 best sites like Gumtree to make use of. If you’re looking to sell your old crappy car or to find job opportunities, then Craigslist should be your go to. Craigslist began as an email distribution list to friends and later expanded ​into a classified ad site making it the best alternative to Gumtree. Craigslist has sections devoted to housing, jobs, gigs, services and items for sale. Despite having an archaic user interface, craigslist is still very popular, easy-to-use and offers almost all of its features for free. While individuals can post free ads for goods to sell, employers are meant to pay a little fee for job listings. Despite the fact that eBay classifieds group had​ Gumtree acquired for an undisclosed amount of money in 2005, it is still the best place to get rid of your unwanted household electronics and apparel. eBay started as an auction site and later launched its classifieds site to help users post free ad. Compared to Gumtree, eBay classifieds gives you more exposure and offers colorful and interactive user interface. eBay classifieds is quite ideal for users looking to get paid on delivery and in cash. Users can place free ad with up to three images on eBay, and more for a small fee. Preloved is simply the best place to buy and sell second hand items including furnitures, dogs, cars and pets. Founded in 1998 by Ian Buzer as a hobby from visiting junk shops, preloved has evolved to become one of the best online classified ad website. Its vibrant and user-friendly interface is easy to master and it allows users to place free ads without incurring listing or selling fees. Preloved has over 500 categories filled with hundreds and thousands of active ads and you can discover buyers in your local area to sell things fast. Preloved is free to use, but you can pay for certain ads for more exposure. Kijiji is another classified ads website that’s hugely popular in Canada. It’s amongst the best sites similar to Gumtree and brings a clean user interface. Kijiji was created as a start-up within eBay and now, it’s serving as a platform which connects people locally to exchange goods and services. Kijiji’s main aim is to make buying and selling of used items simple. The site claims that over 5000 new classifieds are posted every hour and has more than 7 million active ads. On kijiji, you can sell your goods faster provided you live in Toronto, Ontario, Calgary and other cities in Canada. Olx is literally a sound Gumtree alternative and perfect for people living outside of the United States. The company operates in 45 countries including India, Portugal, Brazil, Ukraine, Pakistan and Nigeria. Olx is one of the largest online classifieds ads platform designed to help sellers find buyers who can easily pay for their used goods at affordable price deals. Users can post free ads on olx to enable them sell items that are no longer of use to them. Olx’s online marketplace serves as a meeting point for local people to find, buy and sell a wide range of products including bikes, cars, phones, furnitures, real estate, computers, household utensils and other sporting​ goods and services. So these are a list of sites like Gumtree. You will agree with me that Gumtree is one of the best classified ad site that serves as a medium to buy and sell used goods and services that aren’t allowed in much more established sites such as Amazon, eBay and Aliexpress. Even though Gumtree is spam-free, you’d still need an alternative. So if you’re looking for a change of scenery or the best online classifieds ad sites, then we just had them listed above.